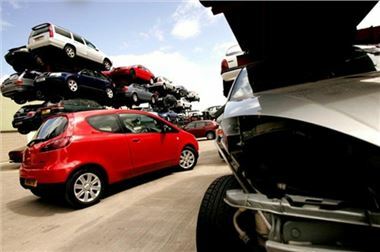 Most car dealers have reported an increase in new car enquiries as a result of the vehicle scrappage scheme, with middle-aged cash-buyers making up the majority of scrappage customers, according to a survey performed by the Retail Motor Industry Federation (RMIF), the trade association for 8,000 motor retailers that sell service and repair new and used cars, and Automotive Management, the motor trade industry newspaper. The survey asks car dealers to gauge what impact the scheme has had since it was launched last month, as well as who is buying, what they are buying, and how they are paying for it. 92.8 per cent of dealers reported an increase in enquiries on new cars following the announcement of the scheme. 48.5 per cent of the vehicles being bought under the scheme are priced between £6,000 and £8,000. 22.1 per cent are priced between £8,000 and £10,000. 66.9 per cent of the vehicles being bought under the scheme have 1.0 to 1.3 litre engines. 19.1 per cent of vehicles being bought have 1.3 to 1.6 litre engines. 63.7 per cent of those buying under the scheme are aged 45 to 60. 27.1 per cent are aged 31 – 45. 54.7 per cent of dealers said that less than 25 per cent of purchases are being made using consumer finance.